Pawhuska, Oklahoma, has been home to several famous people. 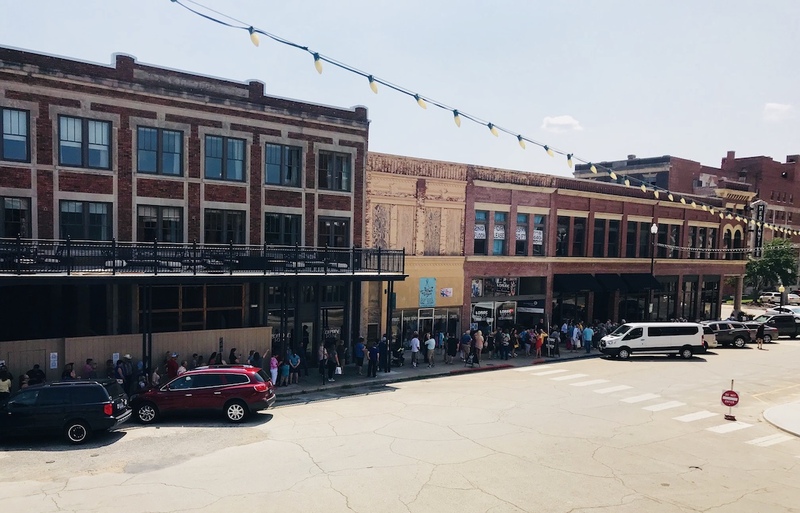 An Academy Award-winning actor, world-renowned bronze sculptors, and The Pioneer Woman Ree Drummond, herself, have all called Pawhuska home. Still, none of these people may be as big a star as local legend Mr. John Reber. 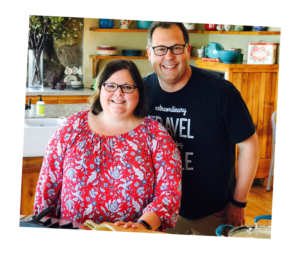 After several inquiries, we decided we’d better meet the man everyone in Pawhuska was talking about and a mutual friend arranged for us to meet him for breakfast one morning at The Pioneer Woman Mercantile. Downtown Pawhuska is being transformed with building renovations and new businesses. He ordered a cup of coffee and a pancake and started talking to us as if we were old friends. Within minutes, we knew exactly why everyone in Pawhuska loved him so much. He was full of history from the area, wise, and feisty. He spoke of his childhood visits to this oil and ranch town as if they were yesterday. Mr. Reber shows Steve pictures of cakes that he has baked. He recalled a bustling city filled with taxis and fine dining. 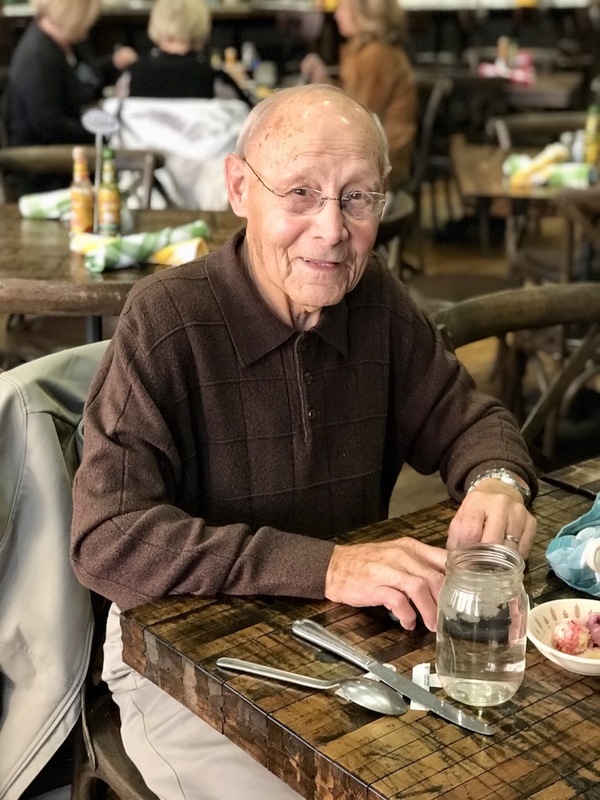 He told us all about a time when Pawhuska had three movie theaters and he and his friends would go to the midnight showing at the Constantine Theater and then stay up half the night drinking coffee at the 24-hour cafe. We listened and laughed as Mr. Reber bragged about being here for the very first World’s Largest Amateur Rodeo Cavalcade in 1947 and how he’s been to every one since. Although now, they don’t throw corn meal on the street the way they did back then to make it easier for the square dancers to slide around. 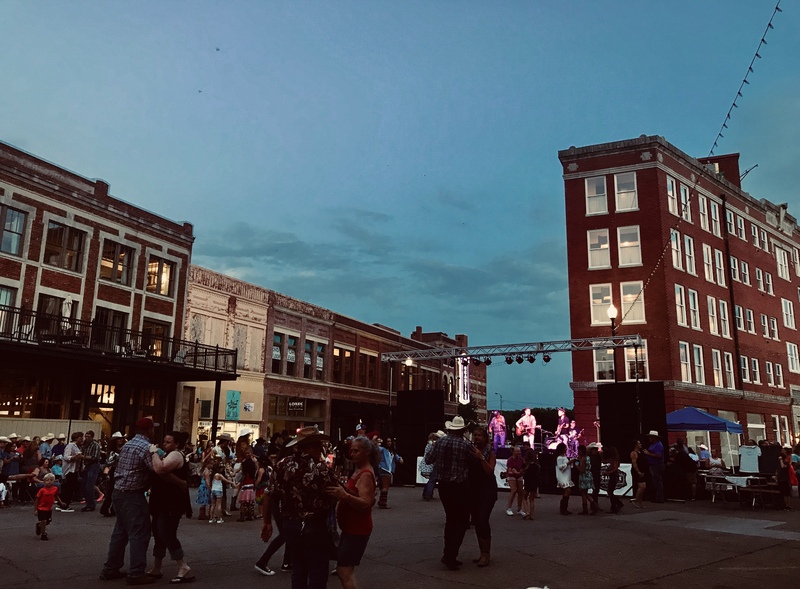 A view of Pawhuska at Cavalcade 2018. After visiting family in Pawhuska for years, Reber eventually moved here and taught music in the public schools from 1964-1987. After retiring, he took on a second career as a tour bus driver for the next 20 years, transporting everyone from Neil Diamond to the Arkansas Razorbacks football team. 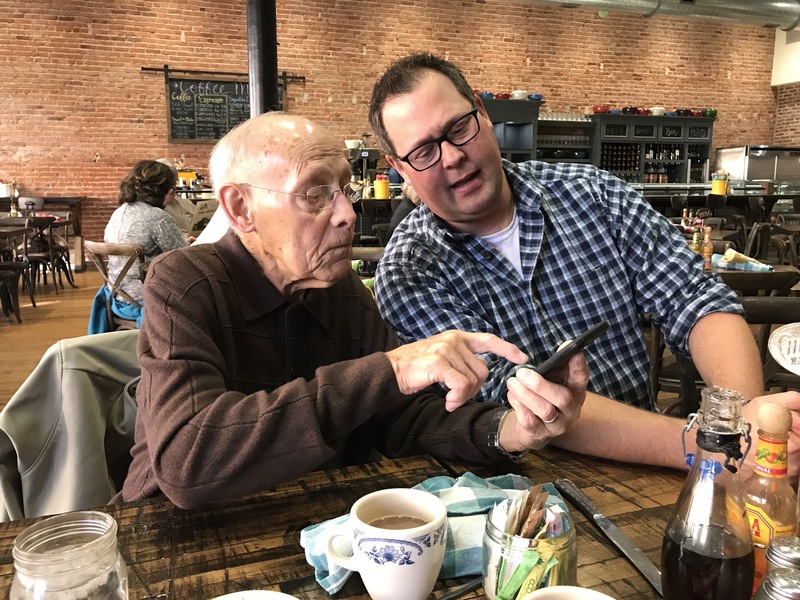 Now 90, you can find Mr. Reber chatting with locals and meeting tourists from all over the world who flock to Pawhuska to visit The Pioneer Woman Mercantile for a taste of her chicken fried steak. He’s happy to tell you all about the town and is likely to throw in a thing or two about his incredible baking skills. That’s right, this man can bake! 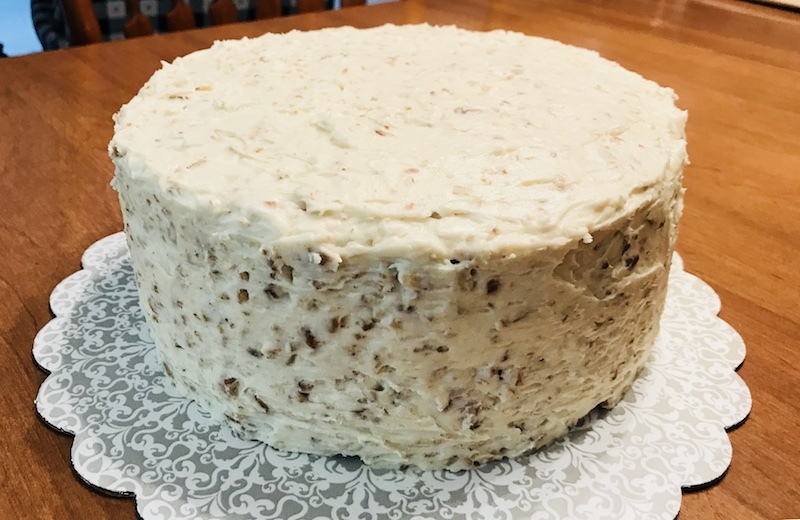 In fact, his Italian cream cake and carrot cake each sold for $1,000 at the Pawhuska Chamber of Commerce Gala last year. Mr. Reber’s Italian cream cake sold for $1,000 at the Pawhuska Chamber of Commerce Gala last year. 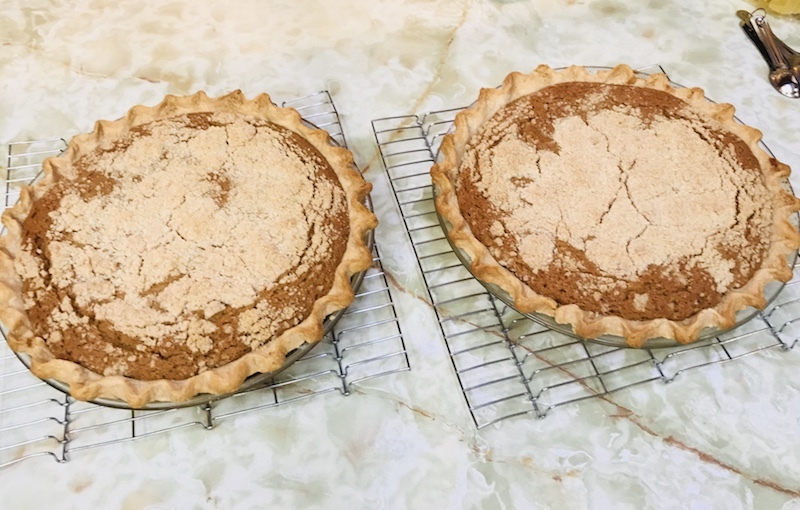 Mr. Reber’s homemade wet bottom shoo fly pies. Recently, selfies with Mr. Reber have also become quite popular. 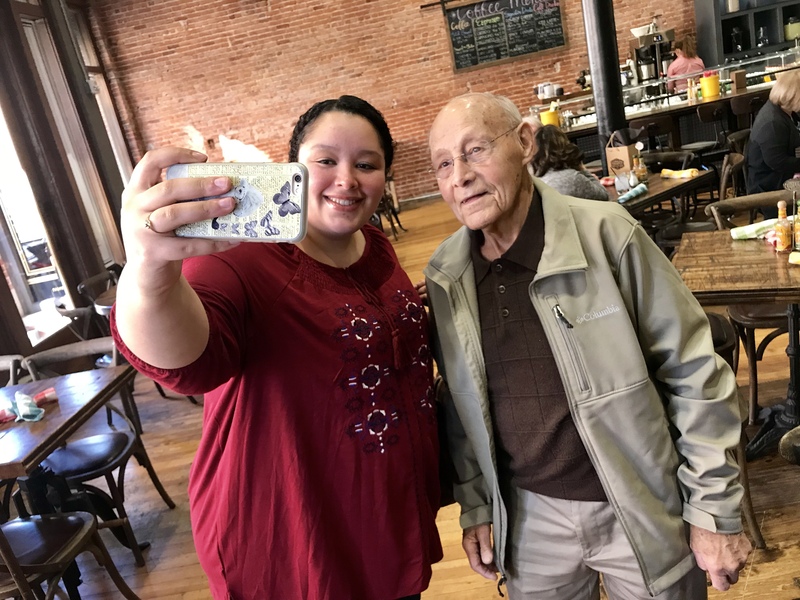 I’m not sure how this began, but locals will tell you a “selfie with Reber” should be at the top of your list of things to do in Pawhuska. We gladly added it to ours. After breakfast, Meghan grabbed a selfie with Mr. Reber. 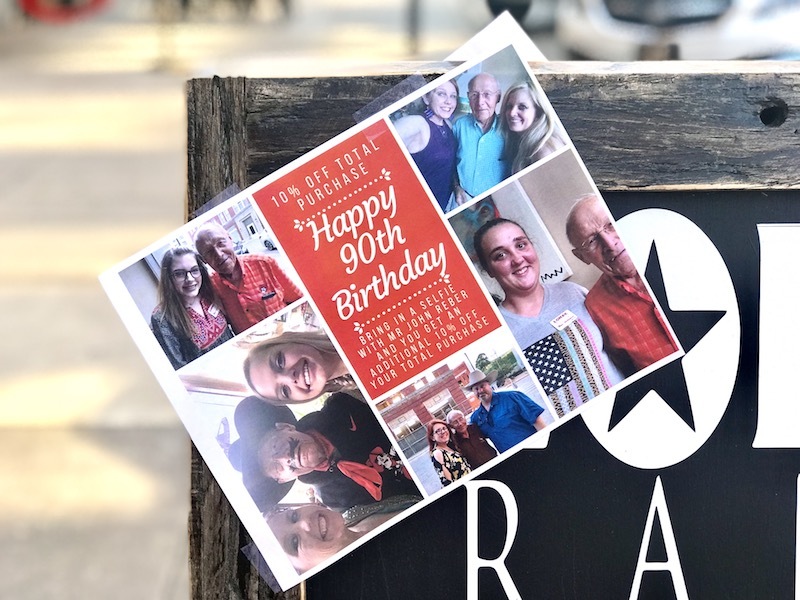 On his 90th birthday this year, local retailer Lorec Ranch – Pawhuska even offered an extra 10% off if you brought in a selfie of yourself and Reber. Lorec Ranch – Pawhuska offers an extra 10% off to celebrate Mr. Reber’s 90th birthday. If you do come here, Mr. Reber is usually easy to spot in Pawhuska. A huge Oklahoma State University fan, he’s often seen wearing orange and black. 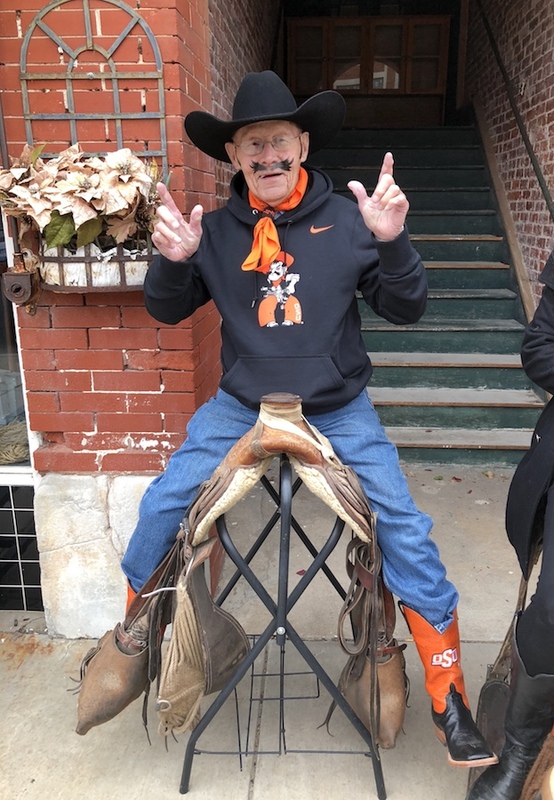 John Reber as Pistol Pete for Halloween festivities in 2017. He enjoys his coffee and breakfast at The Mercantile and his popularity there is evident by the number of people to stop to greet him. After several locals had stopped by our table to say hello, I told him I thought he was pretty much a celebrity in these parts. “I know,” he said with a grin. And if you have the good fortune of meeting Mr. Reber, you’ll know, too. We brought our moms to Pawhuska! Aside from my dad, he’s the best man I’ve ever known!! He was my band director in school, but more importantly, my friend and a huge part of my fanily!! Love you, John G Reber!! This post is so sweet. I loved getting to know Mr. Reber a little bit. Great story. Maybe I will run in to him next year. Thanks for all your stories. Great post! It’s people like John that make small town America so special.